So You Think You Know American History? That doesn’t look a whole lot like George Washington, does it? George became President in 1789, but the United States was already a going concern (to some extent) by 1781. So what did the country do for the intervening eight years? Did it engage in anarchy? Not quite. Before the Constitution was adopted, the law of the land of the United States consisted of the Articles of Confederation. As students, we didn’t study that eight-year period in depth, except maybe to note that these same Articles of Confederation were a condign failure. 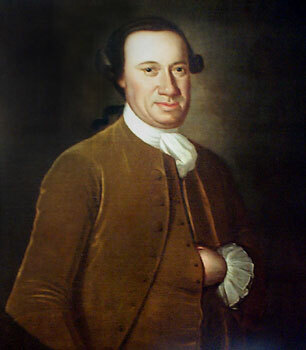 John Hanson of Maryland (1781-1782, pictured above), who wanted to resign immediately because he had neither any compensation or power, but he manage to stick it out. Elias Boudinot of New Jersey (1782-1783) was next. Only after Griffin’s presidency did the U.S. Constitution become formally ratified and George Washington elected the “first” President under the new rules. For an interesting discussion of these eight presidents, who have become more or less lost to history, click here.